Pour liquids into a bottle and shake. 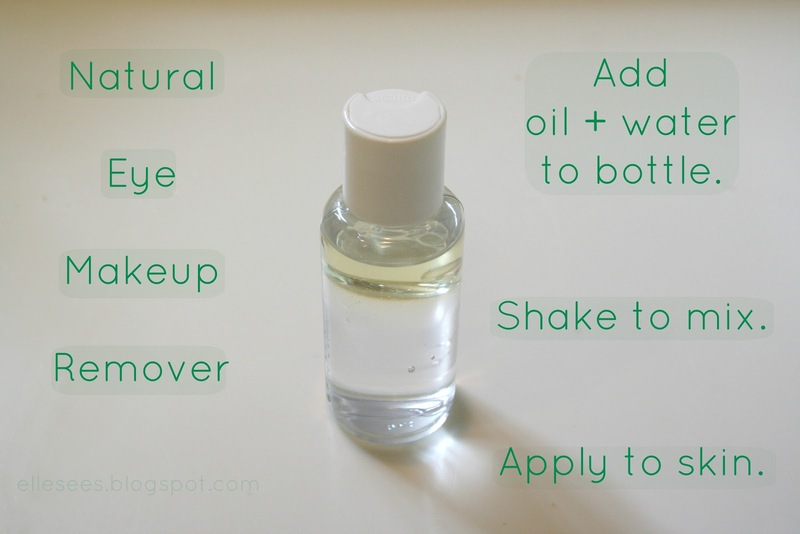 Apply a small amount to eyelids via cotton ball/square, toilet paper, or cloth. Wipe away until no oil remains. This should keep for a couple of months, but if you want even longer, add a drop of Vitamin E oil. If you don't want to use water, you can use witch hazel (can sting if not careful) or aloe vera juice instead. 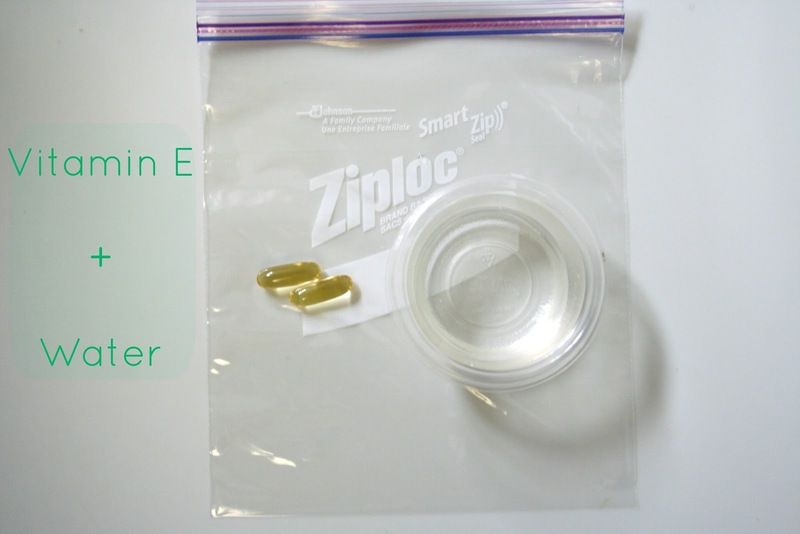 A travel size bottle in your hotel room is around 1 oz, so I picture how much water that is as I pour it into my Ziploc. Break open the capsules into the bag. Seal, shake, and squish the bag to mix the ingredients. I like using the bag instead of a cup since it's easy to mix, and so I can store the homemade cleanser if I'm staying in the hotel a few days. 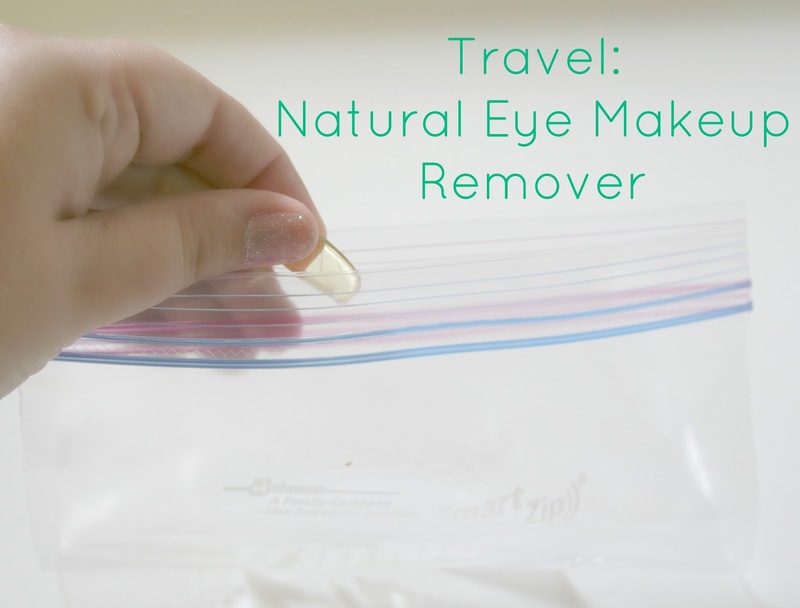 Apply to eyes with cotton ball/square, tissue, or cloth. Be sure all traces of remover are gone. This is the ratio I use, but feel free to adjust as needed. Feel free to use oils that work for you. You can use just Olive, Jojoba, or Coconut Oil, but I like the dilution with the water since straight up oil tends to make my eyes cloudy. Baby Wipes--OK, these aren't natural but they're great for removing makeup, and are much cheaper than regular wipes. I've never experienced irritation or breakouts on my sensitive skin. Everyone's skin is different, and everyone reacts differently to oils--especially with allergies, so what works for me may not work for you, but what I've shared seems to work for just about everyone. Enter to win a pair of Polaroid Sunglasses! Yay for Disney Land, hope your having a blast! I might have to try this out sounds like a pretty good idea and inexpensive. Sorry had to re-post. Hope you're having a great birthday weekend in Disneyland. These are amazing tips. The capsules are great in the plane. Yay! Thanks so much for this post, I was eagerly waiting for it :) Love the idea, its easy enough for me to achieve and I like the use of the non-harsh materials... I am off to make my own now. And the vitamin E capsules are a brilliant idea!! Hope you're having a fabulously fun time at Disney. Awesome tip! Glad you enjoyed your trip! OMG! Thanks for sharing this! I hate buying expensive remover! I'm going to have to try this!! I made a similar version this weekend and have it ready to post this week. Great minds think alike! Hope you're having an awesome time in Disney:) And I'll remember this DIY for when I ran out of eye makeup remover! 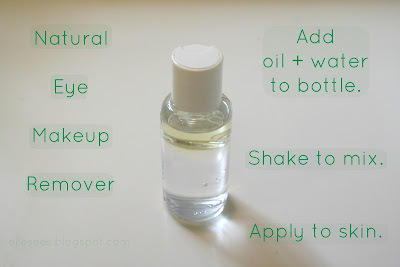 Oil and water- brilliant and it is so easy! Wow, this is so simple and easy! Hope you are enjoying your Disneyland trip! 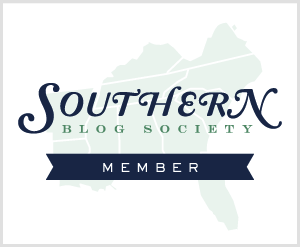 Great tip!I like your blog. What about following each other? Cool idea! I hope you're having a blast at D-World! Happy Birthday! I hope you are having a fantastic time at Disney. I would love to go some day. That is a great post! I am going to try this out! 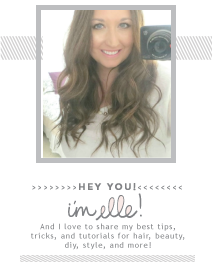 & a very Happy Bday, you have a great blog! Such a great idea! I'm going to have to try it. Such a great idea! Hope your having a blast at Disney World! Happy belated birthday! Awesome idea, really love the travel idea! Amazing Elle! I never knew!!! PS What is the best way to use Vitamin E Capsules? Hope you're having an amazing time and happy belated my dear!!! this is a great idea...and the vitamin E pills would be great for travelling!! I just read your heartful story about Charlie Brown! He was the best BD present you received! I do not understand how can some people be so cruel throwing an animal (or anything really) out of their car window. Its insane! I am so glad you kept him! He is such a charmer! Thank you for sharing this! I spend $4 to 6 on make-up remover wipes. It's nice to know that I can make a decent remover with a couple of ingredients. 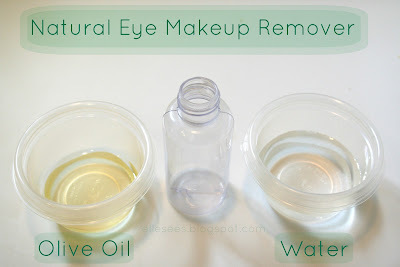 Its a nice post on natural make up remover. I really like to read this post, thanks for sharing it with us.